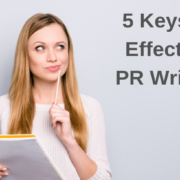 Tip Tuesday – Is Your PR Writing Overqualified? Like using qualifiers? A lot of them, perhaps? As professional copywriters, we need to do a little better. That’s the advice of Stunk & White, authors of the bibles on grammar and style. Harsh, even without the vampire imagery. Harsh, but right on. “It’s rather important to be honest. vs. “It’s important to be honest. 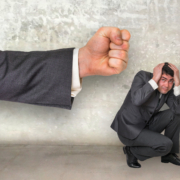 This isn’t a life vs. death deal – except maybe in that last example – but for a prospective client, neither is hiring you. Take the advice of Strunk & White for your public relations writing: be a life-giver, not a leech; throw the qualifiers back into the mucky slough. 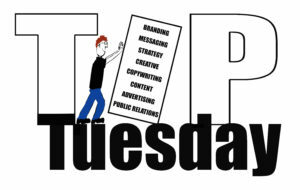 https://fredrickscommunications.com/wp-content/uploads/2018/02/TipTuesdayFinal-Cropped-e1550439969237.jpg 1269 2000 Martin Fredricks https://fredrickscommunications.com/wp-content/uploads/2017/05/FredComm-newTag-Lg_clr-300x116.jpg Martin Fredricks2018-10-01 15:27:572019-02-17 21:47:29Tip Tuesday – Is Your PR Writing Overqualified? A little love can go a long way… sometimes even to a comped cuppa. 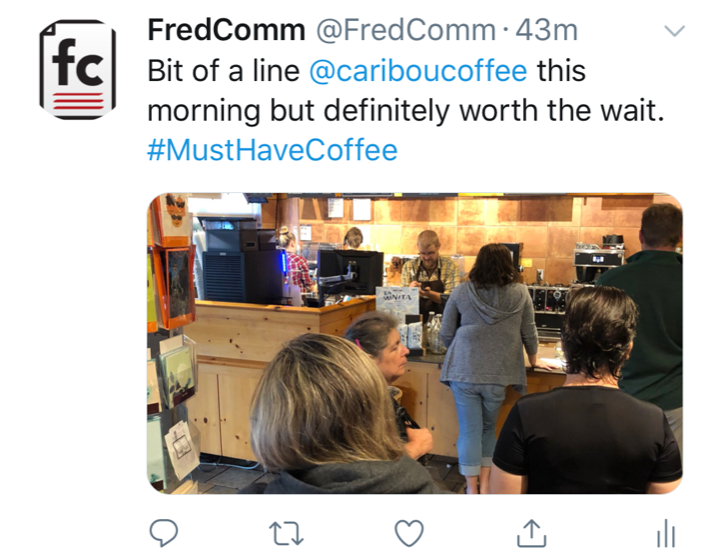 This morning I was waiting in line at Caribou Coffee off of 25th Street South in Fargo. It wasn’t a very long line, but I figured I had enough time to put together a tweet. My middle-aged fingers are pretty slow with the tapping (as my kids remind me every day, it seems), so the line dwindled while I pecked away at my iPhone keys. I wasn’t paying much attention, and just as I was finishing I heard a voice saying, “I can help you here, sir.” Of course I was keeping the barista waiting and there was a line behind me. So I showed him. He was saying how cool that was and thanking me when the manager overheard. The manager took a quick glance. “Comp his drink,” he said to the barista. And that’s how I got my free cuppa joe this morning. Here’s to the fine folks @cariboucoffee off of 25th Street South in Fargo, N.D., who’re over there working their butts off right now. If you get a chance, go show ’em some love. 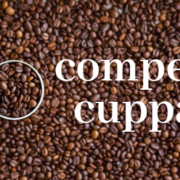 You might not get a free cup, but the people and the coffee are great. BankNorth is moving forward in a new direction. But the brand has always been headed this way. 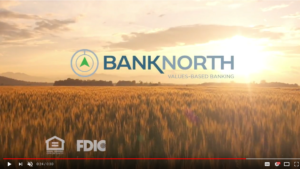 For nearly 115 years, First State Bank of North Dakota has served customers and communities in rural North Dakota with honesty, loyalty and integrity. It’s been Values-Based Banking. 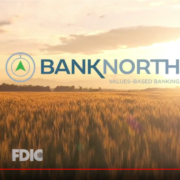 FSBND became BankNorth on July 20, 2018. And it’s still Values-Based Banking. 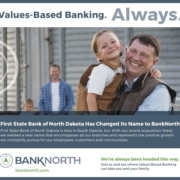 Congratulations to Fredricks Communications client BankNorth, which has officially changed its brand name from First State Bank of North Dakota (FSBND). 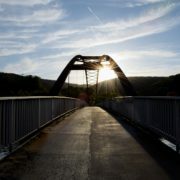 FredComm is proud to have played a role in the rebranding and reintroduction effort. For more on the renaming/rebranding process, check out the FredComm BankNorth page. A huge thank you to FredComm’s project partners for your fantastic work: ock’s Office Transformational Consulting, Creative Monke, Kelner Communications, Knight Printing, Midco, Solberg Design and Video Arts Studios. Of course, the greatest kudos go to BankNorth’s internal team. Well done! The brand transition messaging will continue to evolve through the end of the year. Stay tuned! At the most basic level, the goal of both copywriting and driving is to get people from one place to another. How well you perform along the way ultimately depends on what your passengers – target market readers – take away and how they assess the experience. My father taught me about placing the passenger at the center of the experience when I was 14 years old and had my learner’s permit. He kept his patience, somehow, as I slammed us through hundreds of jerky starts and chin-to-dashboard late stops. He told me to begin slowing for stops early so the other people in the car would never be pressed into their safety belts. Don’t slam their backs into their seats; ease into accelerations so they don’t notice. Make easy turns instead of sharp jags. “If you’re doing it right, they’ll forget they’re in a vehicle at all,” he said. Copywriting and driving are both journeys. The product of a good writer is so smooth that readers have no clue as to the challenge it was to make the narrative seem so. The best writers paint word scenes so vivid that readers see the pictures on their minds’ movie screens, or even imagine they’re in the scenes themselves. I’m thinking now of some of my favorite authors, masters like John Steinbeck and E. Annie Proulx. Reading their novels, I forget I’m reading at all. Advertising and marketing copywriters don’t have the luxury of pages upon pages to paint the vision, but we can strive for similar effect in shorter form. Usually it’s about getting readers to imagine themselves working with your client’s company, using their products or taking advantage of their services. Along the way, we not only take their physical comfort into account, but their emotional ease, as well. We’ll use words and phrases that arouse something in them, directly point out the benefits of what we’re suggesting, give them unspoken (unwritten) permission to take the next step in the buying process. It’s like turning up the heat in a chilly car, tuning the radio to the type of music our passengers like, inviting them to sit right up front where the action is or take it all in more passively from the backseat (a.k.a. addressing pain points, leveraging motivators and highlighting differentiators). At the same time, copywriting can, and often should, be more disruptive than a smooth Sunday drive through the countryside. From time to time the writer can purposely give passengers a jerky start or a stop-short, face-flat-to-the-windshield revelation. 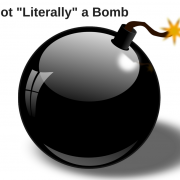 A screeching burst of rapid-fire clauses. A pause that affords a glance in the rearview. A sharp swerve that screws their hairdos straight up into the roof upholstery. In other words, sometimes a copywriter’s fun can be the readers’ fun, too. Take your passengers on an easy ride. 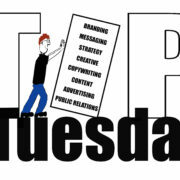 Keep them interested and wanting to travel farther down the road, deeper into the brand story. Give them an abrupt halt when it’ll help them see things more clearly. Remember, target market members’ comfort is the copywriter’s responsibility. Be an exceptional chauffeur, and when the experience comes to an end your passengers will ask, “Oh, are we there already?” Sure are.